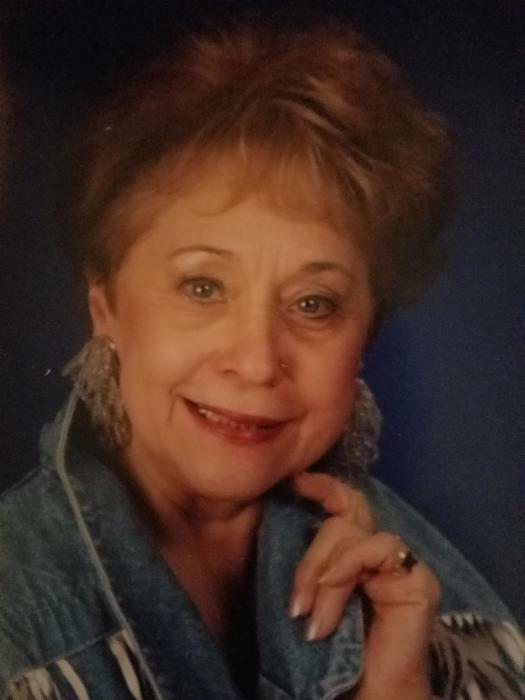 Janis Larie Larson, 88, of Muskogee, Oklahoma, passed away, Saturday, January 12, 2019 at Broadway Manor Nursing Home in Muskogee, Oklahoma. She was born in Washington, Iowa on August 26, 1930, daughter of the late Lee B Henry and Matilda Augustine. Janis spent her life as a loving daughter, wife, mother, grandmother and friend. She was united in marriage to Robert Larson. During her working years she was a Beautician in Horseshoe Bend, Arkansas. She was a square dancer and she and her longtime friend John Waldvogel won many square-dancing competitions throughout the state of Arkansas. She loved her grandkids, family, and flowers. Janis is survived by her daughter, Sandra Coleman, grandchildren Mandy Reed of Iowa, Dusty Bonnett of Iowa, Chelsea Kickpatrick of Iowa and Lindsey Lewis of Iowa, 11 great grandchildren, 4 nieces, Marsha Ewoldt, Brenda Sniderman, Joy Walker Fisher, Linda Henry Heisdorffers, 1 nephew, Larry Henry and a special friend, John Waldvogel. She was preceded in death by her husband, Robert Larson, son, Steven Robert Larson, parents, Lee and Matilda Henry, sister, Joan Walker and brother, Lee Bryan Henry Jr. Arrangements entrusted to Doty Family Funeral and Memorial service of Horseshoe Bend, Arkansas.